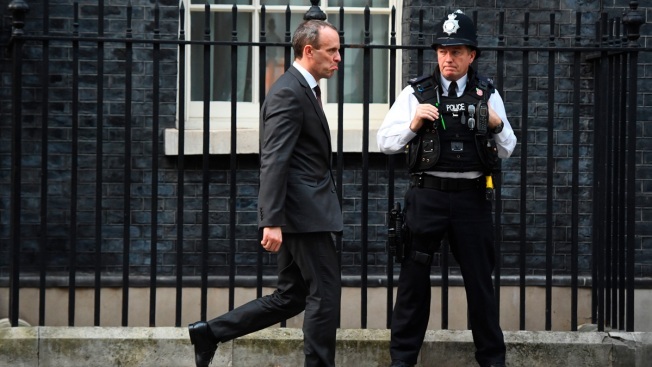 Britain's Secretary of State for Exiting the European Union Dominic Raab, leaves after a cabinet meeting at 10 Downing Street in London, Tuesday, Nov. 13, 2018. Negotiators from Britain and the European Union have struck a proposed divorce deal that will be presented to politicians on both sides for approval, officials in London and Brussels said Tuesday. The British government confirmed that the negotiating teams had reached a draft agreement and the Cabinet would hold a special meeting Wednesday afternoon to consider the proposal. Its support isn't guaranteed: May is under pressure from pro-Brexit ministers not to make further concessions to the EU on the key issue of the Irish border. A spokesman for chief EU negotiator Michel Barnier urged caution, saying a deal wasn't yet finalized and the bloc would "take stock" Wednesday. The main obstacle has long been how to ensure there are no customs posts or other checks along the border between the U.K.'s Northern Ireland and EU member Ireland after Brexit. Britain and the EU agree that there must be no barriers that could disrupt businesses and residents on either side of the border and undermine Northern Ireland's hard-won peace process — but they have differed on how to achieve that. A sticking point in talks has been Britain's insistence that any such customs arrangement must be temporary. The EU says that in order to guarantee an open border, it can't have a time limit. Former Foreign Secretary Boris Johnson, a staunch "Brexiteer," said the deal was unacceptable and Cabinet ministers should "chuck it out." 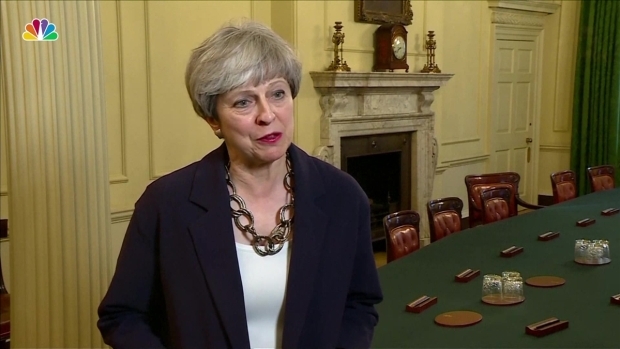 May's Conservative Party doesn't hold a majority of seats in the House of Commons, and relies on 10 lawmakers from Northern Ireland's Democratic Unionist Party to win votes. The DUP is wary of any border compromise that could bind Northern Ireland to the EU. DUP deputy leader Nigel Dodds said the party wouldn't accept "that our laws would be made in Brussels, not in Westminster or Belfast. That is the fundamental red line." If there is no final agreement soon, U.K. businesses will have to start implementing contingency plans for a "no-deal" Brexit — steps that could include cutting jobs, stockpiling goods and relocating production and services outside Britain. On Tuesday, the European Commission published a sheaf of notices outlining changes in a host of areas in the event of a no-deal Brexit. They point to major disruption for people and businesses: U.K. truckers' licenses won't be valid in the EU, British airlines will no longer enjoy traffic rights, and even British mineral water will cease to be recognized as such by the EU. "This side of the Channel we are very happy with a balanced solution to the Northern Irish dilemma," said Tom Vandenkendelaere, a Christian Democrat member of the European Parliament. "The other side of the Channel? No idea what the priorities of the British government are. "This promises to produce fireworks. Wait and see." Raf Casert contributed to this story.